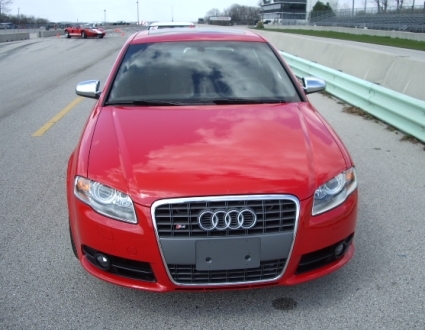 Find Used Audi S4 Parts... Fast! When you search for Audi S4 parts, you always want the best selection available - and that is exactly what UNeedAPart.com provides! With our huge network of parts dealers across the nation, over 7,000 strong in fact, we offer an uncompromised selection when it comes to used auto parts. Just enter in the information regarding your vehicle, and we will connect you instantly with only the parts suppliers that have the Audi S4 parts you are searching for in stock and ready for immediate shipment. Whether you run an auto repair shop or if you are doing the repairs in your home garage, there is simply no better way to find the Audi S4 parts you need to keep it moving. The best part of all is that you will also save some hard-earned cash when you track down a quality used part from UNeedAPart.com, leaving you totally satisfied every time. Nothing can be more pressing than waiting for used Audi S4 parts to arrive when the only thing you want is to get your vehicle back on the road. Now, there is a better way to find the used Audi S4 parts you need. At UNeedAPart.com, we have access to over 7,000 parts dealers across the country and we only match you with the ones that have the part you need in stock and on the shelf. The next time you are in need of used Audi S4 parts, including Audi S4 wheels, trust UNeedAPart.com, the locator service that quickly and efficiently locates the parts you need to finish the job. Finding the right Audi S4 parts is easy! To get started, simply fill out the Part Requester form at the top and/or side of the page. We will instantly match you with only the auto parts dealers that meet your search criteria sent directly to your email. UNeedAPart.com helps you find the used auto parts you need in no time!